Zakia Jafri‘s lawyer on Saturday alleged before a court here that Gujarat Chief Minister Narendra Modi had conspired to instigate Vishwa Hindu Parishad workers and other members of Hindu community after the Godhra train burning incident in 2002.Ehsan Jafri, Zakia’s husband and former Congress MP, was one of those who were slain during the riots across Gujarat after the Godhra incident.Advocate Sanjay Parikh, Jafri’s lawyer, made the allegation during the argument before Metropolitan Magistrate B J Ganatra. The court is hearing Jafri’s petition against closure report of Special Investigation Team which gave a clean chit to Modi and others in the face of the charge of complicity in the riots as levelled by Jafri in her complaint in 2008 before the Supreme Court. “After the Godhra train burning incident, a large number of kar sevaks indulged in provocative slogan-shouting at Godhra railway station and the situation was tense…And what he (Modi) did was to call VHP Gujarat general secretary Jaideep Patel to go to Godhra and Patel instigated other VHP men and Hindus against Muslims. Therefore, Modi conspired with Jaideep Patel to instigate negative and aggressive feelings of RSS, VHP workers against Muslims,” advocate Parikh contended. “Real conspiracy began with this instruction to Patel. He (Modi) is the chief executor of the conspiracy,” Parikh said, adding SIT failed to probe this aspect of the case.Jaideep Patel, with 81 others, is facing trial in Naroda Gaam case in which 11 people from the minority community were killed.Jafri’s `protest petition’ demands rejection of SIT report and seeks further investigation by an independent agency. Her complaint accuses Modi of being involved in the conspiracy behind wide-spread violence and misuse of the state machinery during the riots. “There was no need for the Chief Minister to inform a VHP man and be in close contact with him, knowing fully well that after the Godhra incident, tensions may escalate and what was required was restraint and specific measures to strengthen the law and order situation,” Jafri’s lawyer said.”He, therefore, committed an omission in not discharging his duty. He in fact, by his conduct allowed communal tension to escalate,” advocate Parikh alleged, opposing SIT’s conclusion that no case was made out against Modi and others. 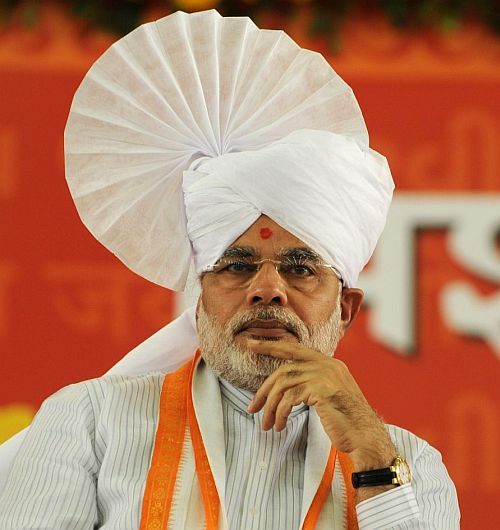 Inaction on Modi’s part amounted to conspiracy and abetment, the lawyer said.He further alleged the state government was aware of heavy mobilisation for Maha Yagna at Ayodhya and still did nothing to control the situation by making proper security arrangement.Parikh also submitted a copy of a statement, dated August 15, 2009, given by the then senior state minister Suresh Mehta to SIT.”As per Mehta’s statement, he was sitting next to Narendra Modi in the assembly on February 27, 2002 when Modi said `Hindus should wake up now’. This shows his mindset against Muslims and that he wanted targeted violence against that community,” Parikh alleged.The hearing would continue on July 3.